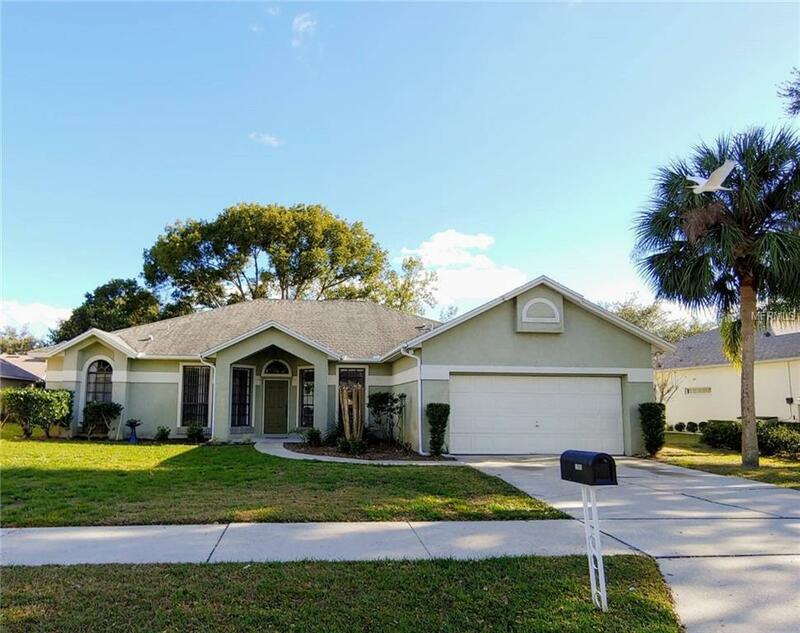 BEAUTIFUL and UPDATED 4BR/2Ba/2car garage with large screened-in COVERED PORCH on CUL-DE SAC STREET In GOLF COURSE Community of Oviedo !! LIGHT, BRIGHT, OPEN, AND SPACIOUS w/spit bedroom plan!! BEAUTIFUL GRANITE COUNTERTOPS and NEWER BLACK APPLIANCES in kitchen!! Beautiful NEWER 18 inch TILE and 5'IN BASEBOARDS throughout living area and NEWER LAMINATE WOOD FLOORING in ALL bedrooms!! NEWER PAINT IN and OUT!! A very LARGE FENCED in back yard!! STORAGE SHED. ALL "A" SCHOOLS!! EXCELLENT LOCATION with close proximity to UCF--UNDER 2 MILES! !